Cruiserweight Ryan Charles says he is ready to make his mark in British boxing after a difficult 12 months. The London-based hitter who is signed to Mark Prior’s British Warriors is set to make his first outing in the paid ranks this weekend. Having competed in the Commonwealth Games, the Amateur World Championships and even Olympic Qualifiers – he is not short of experience. 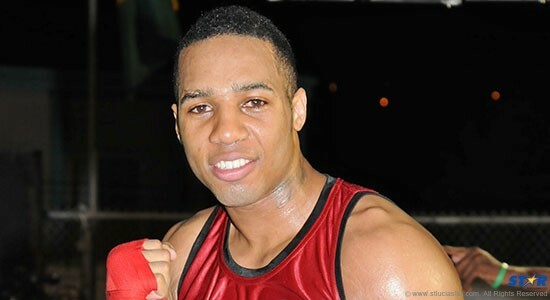 And the 30-year-old – who currrently trains out of Miguel’s in Brixton, is hoping to showcase his slick boxing when he makes his debut on Micky Helliet’s ‘Hurrican Hellraiser’ show. “I get told I have good technique, a nice jab and I like to throw power punches. If I can get you out of there I will,” Charles said. “I have always wanted to turn pro but after the Commonwealth games I took a break, I gave the guy two standing counts and he still went through. It was a robbery. “Then last year I was supposed to make my debut but there was a few complications so I am looking forward to it all coming together. “I have been getting some great sparring in and in Miguel’s you have the likes of Richard Riakphore, Isaac Chamberlain and even Dillian Whyte down there. “I’ll be fighting at either Cruiserweight or light-heavy. We are going to see how I get on with the weight and go from there. For this fight though it will be Cruiser. And after having so much experience as an amateur, Charles is confident that his time as a Commonwealth competitor will have had him well schooled for anything journeymen can do in his first few fights. He said: “I am always better when I boxer than trying to have a war, not many to start with will be able to live with me. “I do have enough power to do damage, I got quite a few stoppages as an amateur and fighting the likes of World Champion Michael Hunter and Olympians I am very confident.